Hanna served as a community youth development Volunteer at the Sevan Youth Club, a non-governmental agency in Sevan, Armenia and made many notable contributions, participating in the opening of the community’s first artistic teahouse and helping to organize a summer music festival. She also started an English club and was developing initiatives aimed at encouraging young community members to fully develop their potential. Hanna in her community of Sevan. 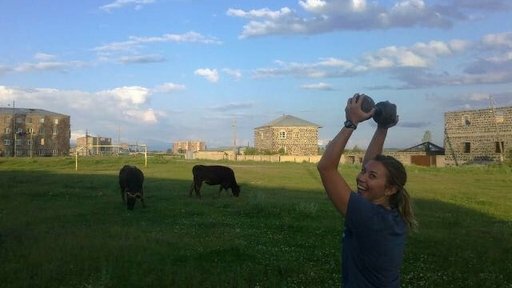 Before beginning her Peace Corps service, Hanna wrote that serving in Armenia would be “… a dream come true.” She looked forward to learning Armenian and using her cross-cultural skills to improve the lives of women and children. Hanna’s passion for languages and commitment to helping women and children began long before her service. Fluent in Hungarian, Spanish, and Russian, she taught English in Hungary and Slovakia; she also lived in Romania for several months, caring for young orphans and teaching them English. As a college student, she tutored elementary school student in Washington, DC. 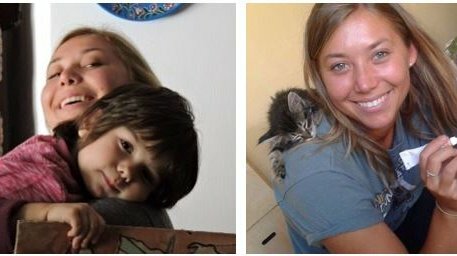 All donations to the Hanna Huntley Memorial Fund will support approved Peace Corps Partnership Program (PCPP) youth and education projects in Armenia. Hanna during her Peace Corps service in Armenia.